Flipping through this month’s Vogue I came across this adorable trunk in the Last Look. 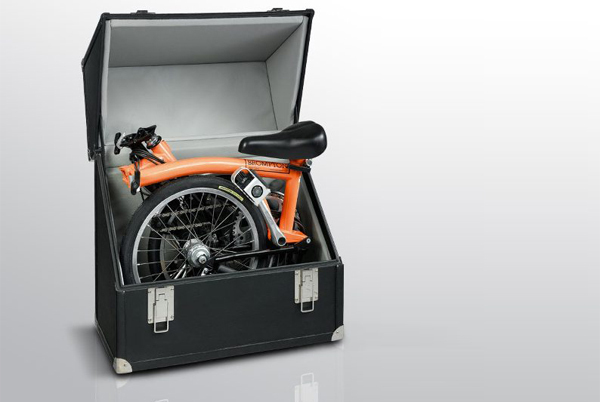 It’s made by French accessories maker, Pinel & Pinel and is made specifically for the ingenius Brompton Folding Bicycle. The trunk is made of leather and is available in 51 colors for both interior and exterior. (I was going for white exterior with a shocking pink inside but that’s just me.) You can also choose from 10 colors for your bicycle. So cool. Byke Trunk, call for pricing.